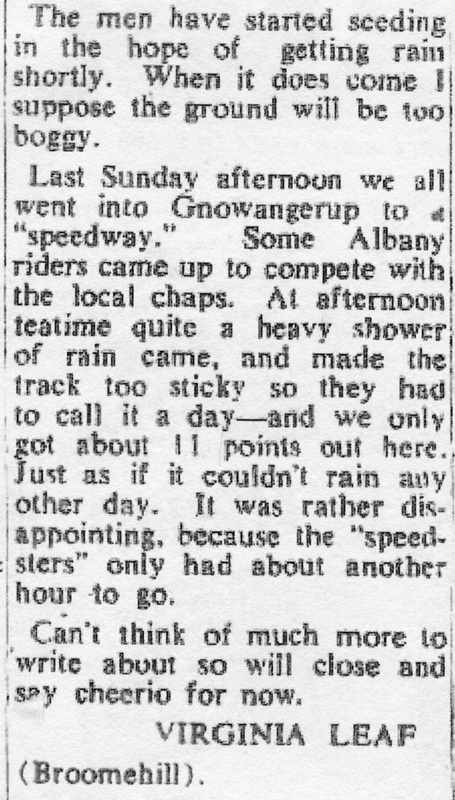 Very little is known about the club and its venue, But from newspaper reports the track was is operation during 1948 and held motorcycle racing. 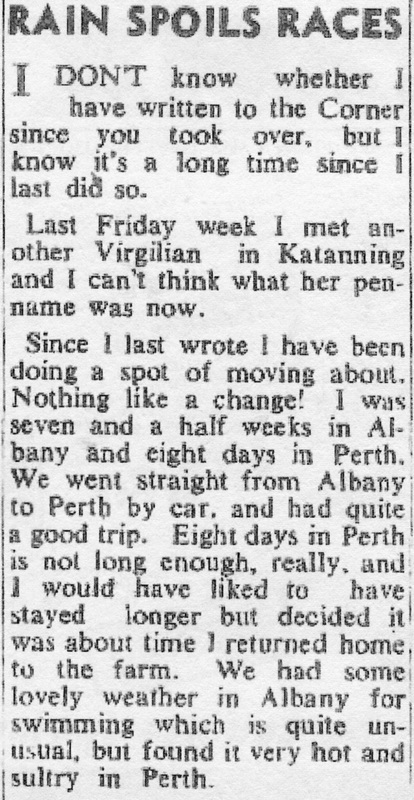 Virginia Leaf recalls: through her letter to the newspaper. 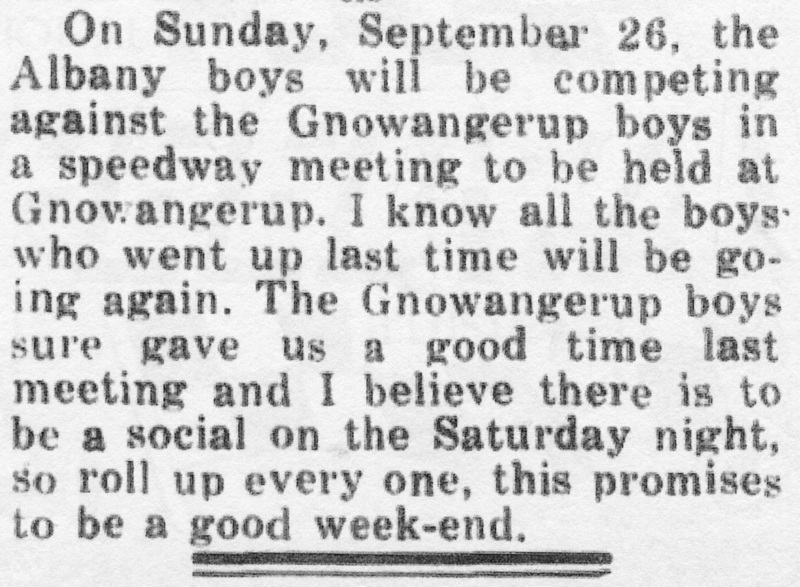 The Gnowangerup Club did not have a track, they would race one week at Mount Barker, then the next week at Katanning and a once a year event at Albany on a temporary beach track. The four members of the Gnowangerup club from Ongerup were Tony Hordern, Bernie Pocock, David Wanless and Harry Flynn. 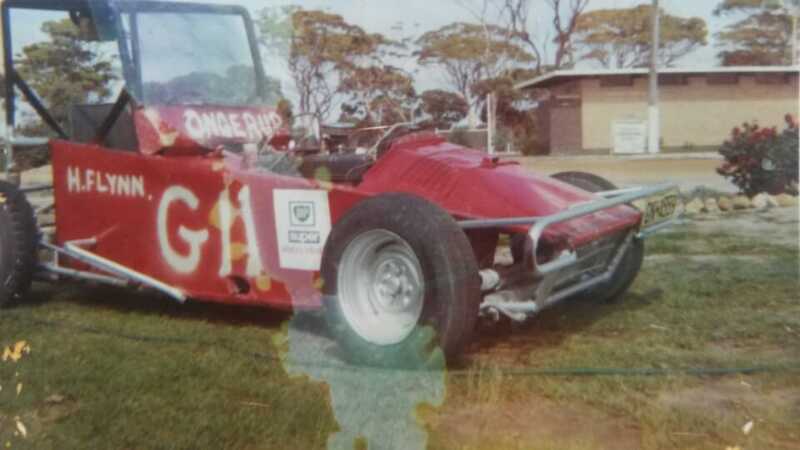 Harry Flynn recalls: I raced my first Hot Rod as a member of the Gnowangerup club during 1970 1971. 1970 - Harry Flynn's Hot Rod G11. Photo: Harry Flynn.